The babies of roaches do not look cute like others. If you see baby roaches in kitchen, bathroom, and you ignore their presence, then it can lead to a heavy roach infestation in your house. If you see the pictures of baby cockroaches, you will find that they look very similar to the adult ones. They just have a little difference. In this article, you will read about their presence, and what does a baby roach look like, and I will also show the baby cockroach pictures and baby roach images, so that there will be no confusion about them, because if you see them and ignore them by thinking they are some other insect, then it can lead to increase in their population in future. Do you know how much does a cockroach exterminator cost you? Get a free estimate from your Local Pest Control Companies, and they’ll tell you an exact price they’ll charge for your whole house treatment. The baby roaches are just like the adult ones. They are small in size, and they don’t have wings which adults have. So, you can also say that they are the smaller version of the adult ones. If we talk about the color of baby roaches, then I must tell you that, it varies from species to species. In the below, you will see pictures of baby cockroaches, they white in color, and some are black in color. So, it depends on their species. These are very common in the houses, and the baby cockroaches in your kitchen are maybe baby German roaches. The bodies of German baby roaches are smooth, and they are very small, approximately, just 3 millimeters in the length. The adult ones have weird markings on their bodies, while if you see the images of baby German roaches, you will see that there are no such markings. The baby Germans doesn’t have any wings, but with time, when they grow big, they develop wings, but they are not capable to fly. The population of German roaches increases rapidly. Therefore, you should deal with them when they’re still young. This article is very helpful and shares good information about how to get rid of baby cockroaches in your home. American roaches are the ones that are responsible for scaring people. The baby American roaches are not that scary, but it doesn’t mean that you can tolerate in your home. Their presence in your home is the clear indication that they are breeding in your house, and in the future, they are going to crawl in your house. Even, there are some cases, when these roaches bite and it leaves marks on the body. You can check this article that shows what does a cockroach bite look like. 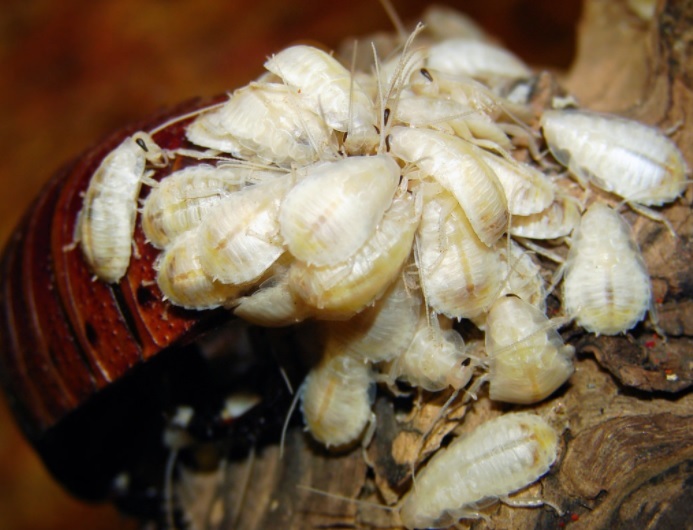 The adult American roaches are reddish brown in color, while the baby American roaches are darker in color if you compare them with the adult ones. Baby Americans also don’t have wings when they are babies. But, when they grow, they develop wings just like the Germans. The baby American roaches stay hidden in the dark places where they can get the food easily. They only come out when they become old enough to live their life on their own. Therefore, you will only see adults crawling, not the baby roaches. The oriental roaches are not popular as much as Americans and German roaches. 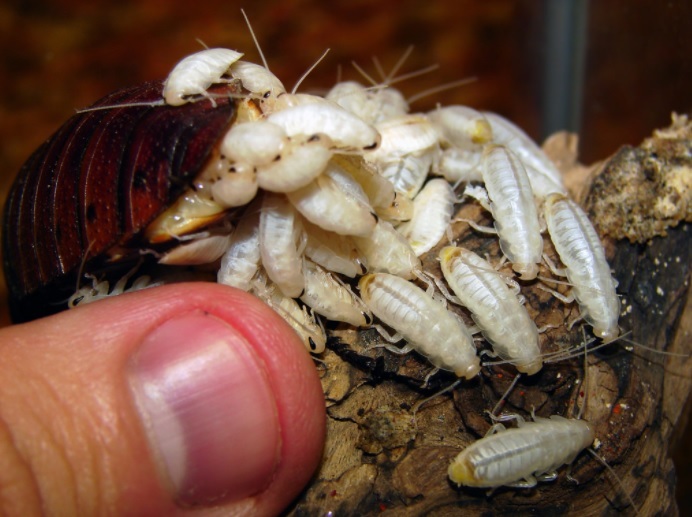 Just like all of them, the baby oriental roaches are smaller in size, and they don’t have wings. These are the pics of baby roaches that you should check. By seeing these images of baby cockroaches, you will get a clear idea about what do baby roaches look like. These images are taken by the Flick user Matt Reinbold. Sometimes, you may need to take the help of Pest Control Companies. In that case, knowing the average cockroach treatment cost will be helpful to you. 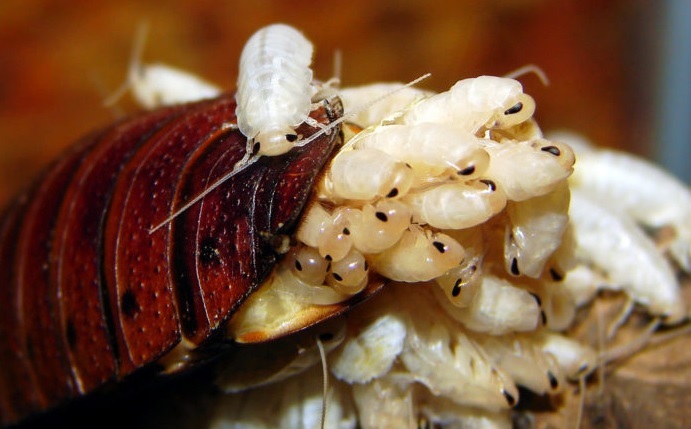 The baby roaches may not scare you like the adults, but you cannot ignore their presence. They grow big in a few days, and they will spread diseases. According to the World Health Organization, just like flies, roaches play a secondary role in spreading many diseases. So, I hope that this article was helpful to you. If you want to know any information about cockroaches, then check out our other articles.